As a symbol of status, prestige, and wealth, it’s no surprise that Rolex is a favorite of those who spend their days and nights toiling on Wall Street. In fact, the Rolex Submariner is pretty much standard uniform among young and hungry analysts. However, there are plenty of other Rolex watches favored by business titans of Wall Street too. Let’s get a closer look. 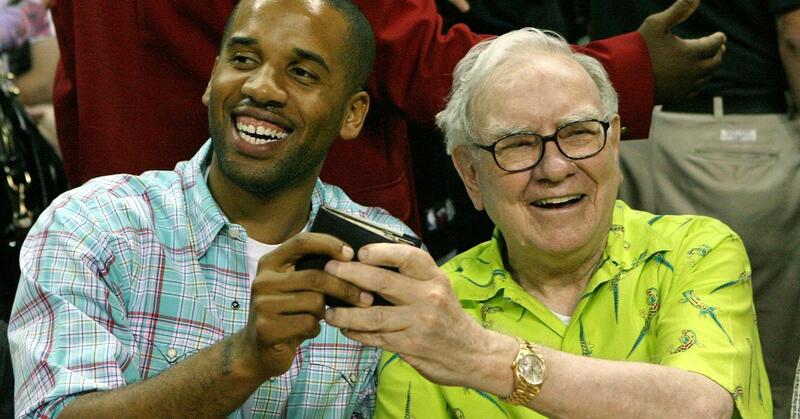 The second richest man in the world, Warren Buffett of Berkshire Hathaway, is steadfastly loyal to his possessions. He’s lived in the same house in Omaha, Nebraska since 1958. He drove the same Cadillac for ten years before he traded it in for a newer one in 2016. And “Omaha’s Oracle” has been wearing the same 18k yellow gold Rolex Day-Date President watch for decades. Back in 2008, Bloomberg News reported that Buffett had said that luxury watchmakers, such as Geneva-based Rolex, “are great companies”. He further added, “They know my phone number, but they haven’t called.” Given that the private Swiss watchmaking giant won’t be for sale anytime soon, Buffett will have to settle on owning the company’s iconic dress watch instead. 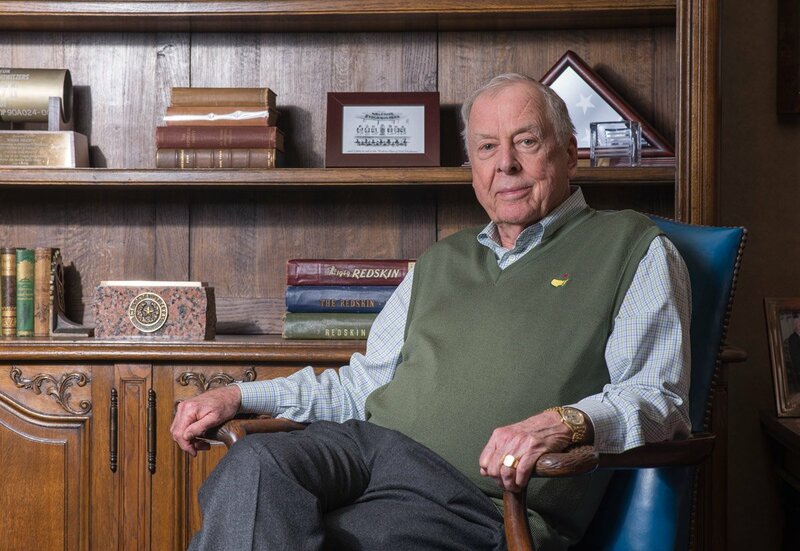 Chairman of hedge fund BP Capital Management, T. Boone Pickens, is another fan of the 18k yellow gold Rolex Day-Date. Pickens rose to fame in the 1980s thanks to his aggressive corporate acquisitions and has been sporting a Rolex President since. Pickens even wore one on the 1988 reissue of his autobiography, Boone. 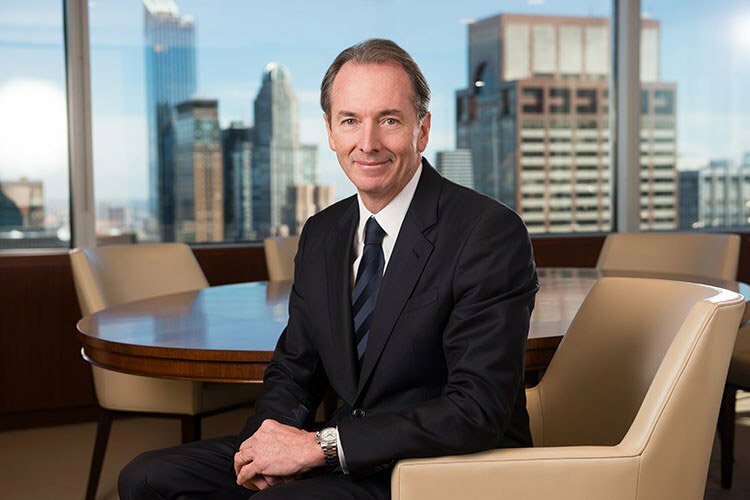 Rather than a dress watch, James Gorman, CEO of Morgan Stanley, wears a sporty Daytona chronograph. Although he could certainly afford full gold models given his personal fortune, Gorman opts to wear the full stainless steel Daytona ref. 116520 instead. 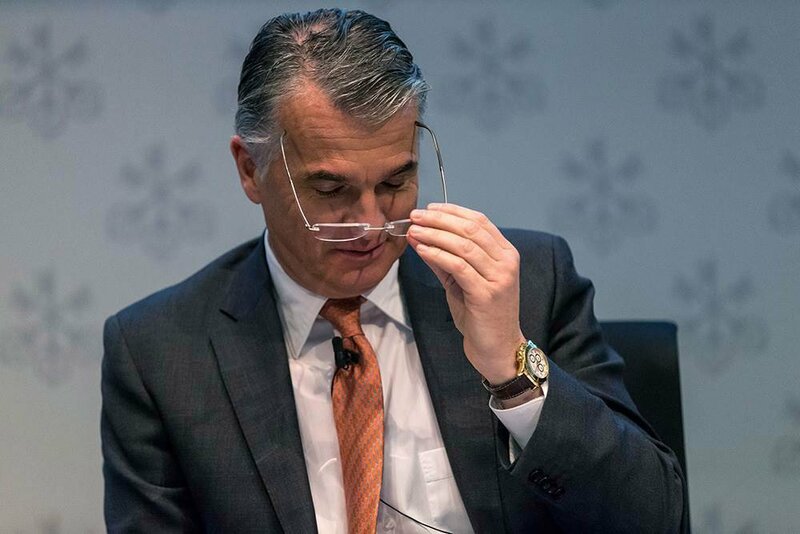 Swiss native and CEO of UBS, Sergio Ermotti, is notably always impeccably dressed. Naturally, Ermotti pairs his sharp suits and luxurious shoes with fine watches. Also a fan of Rolex Daytona chronographs, we’ve spotted Ermotti wearing a yellow gold Daytona on a brown leather strap, as well as a full steel model. 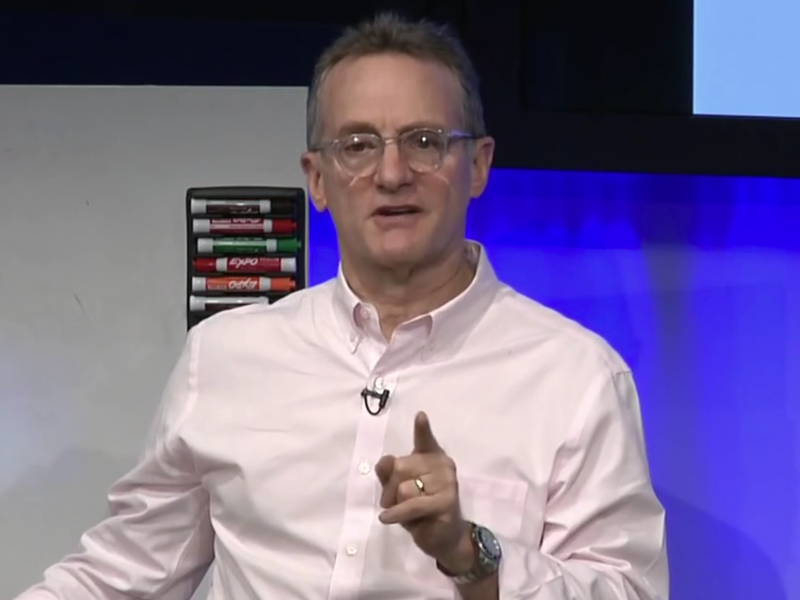 Co-founder and Co-Chairman of Oaktree Capital, Howard Marks, wears an assortment of luxury watches from slim gold ones to bulkier steel ones. For instance, during his “The Most Important Thing – Origins and Inspirations” Talks at Google, Marks had on a full stainless steel Submariner with a black dial and bezel. We bet it’s the newest version too with the Cerachrom ceramic bezel. Wall Street’s big money and big personalities inspire plenty of Hollywood movies. Along with the yachts, cars, and mansions, characters are also often wearing big expensive watches including some key Rolex timepieces. 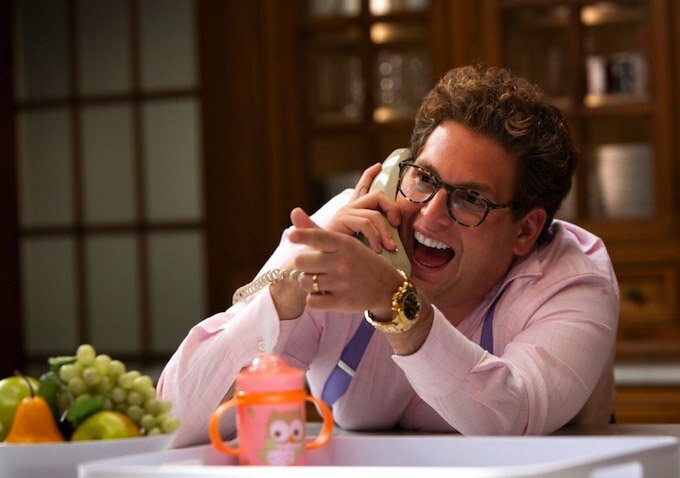 While Leonardo DiCaprio wore a gold TAG Heuer while playing Jordan Belfort in Wolf of Wall Street, co-star Jonah Hill’s character, Donnie Azoff, wore a yellow gold Daytona. Moreover, Steve Carell played hedge fund manager, Mark Baum, in The Big Short, while wearing a Rolex Submariner ref. 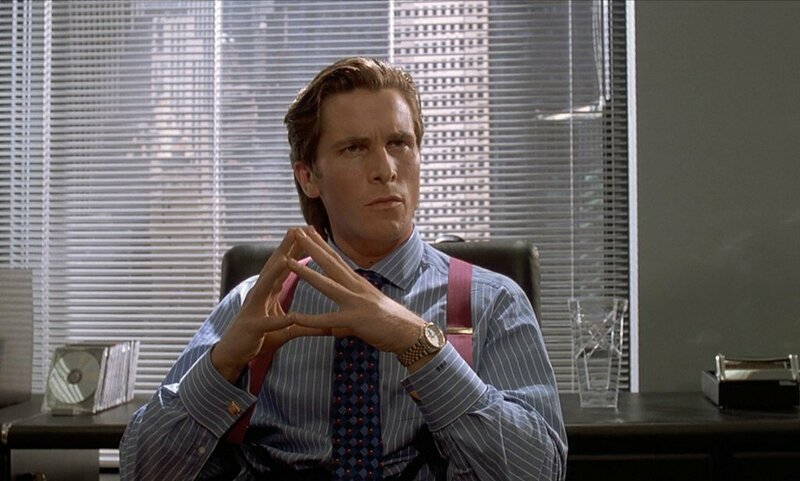 116610.
Who can forget Christian Bale’s portrayal of Patrick Bateman in American Psycho wearing a two-tone Datejust ref. 16013 with a Jubilee bracelet? Although the name “Rolex” was mentioned over 20 times in the book, the movie adaptation had Bateman say “Don’t touch the watch” instead of the book’s line “Don’t touch the Rolex.” Unsurprisingly, Rolex did not want their illustrious name associated with such a gory film! Whether in real life or on the silver screen, a Rolex is part and parcel of the Wall Street wardrobe. Which of these moneymen’s Rolex watches do you like the best?